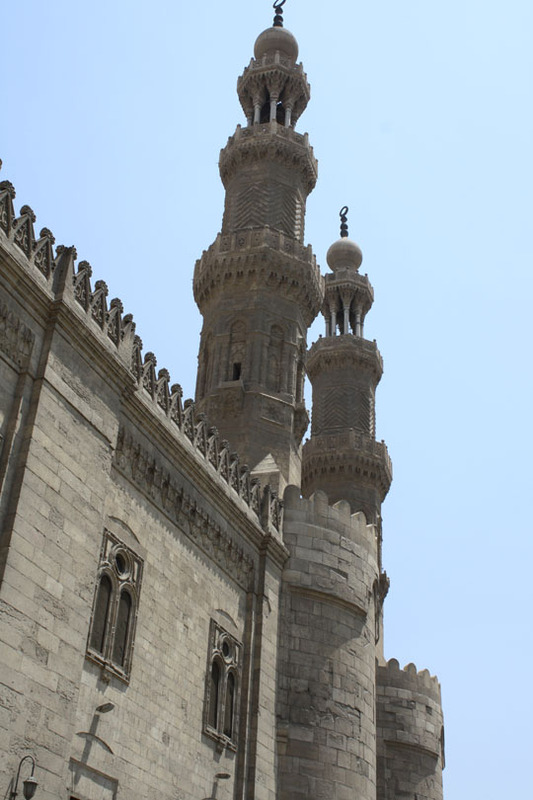 There’s an historic street in Cairo’s Khan al Khalili district known as the Sharia al-Khayamiya (Tentmaker’s Street). Along this street, vendors sell a uniquely Egyptian handcrafted textile known as khayamiya. You might also see it spelled as “khayamia”, “khyamiya”, “khayameya”, and other variations of that. The word is derived from Khayma, which is the Arabic word for “tent”. You may have heard of Omar Khayyam, whose name means “Omar the Tent Maker”. Although it’s possible to purchase khayamiya in places other than this street, you’ll find the best selection here. I find it captivating to explore the shops and admire the many tapestries available there. 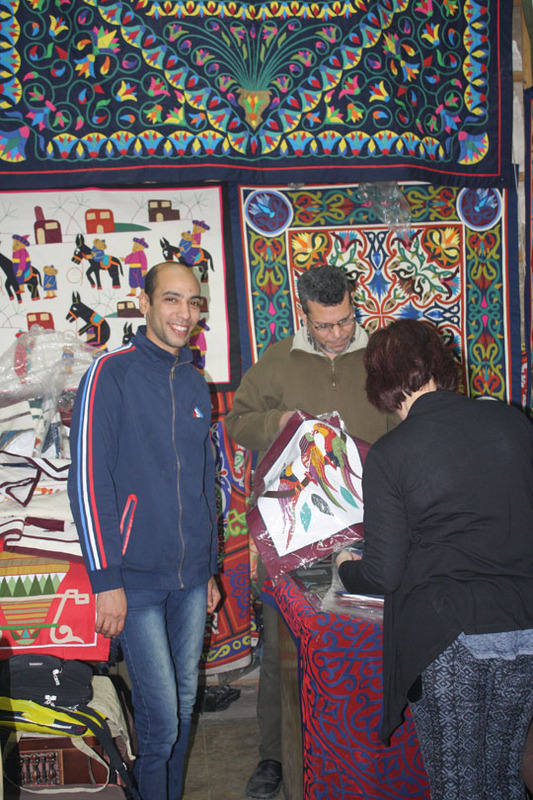 Khayamiya artisans create the pieces using applique techniques to make designs. The fabric is a type of canvas. 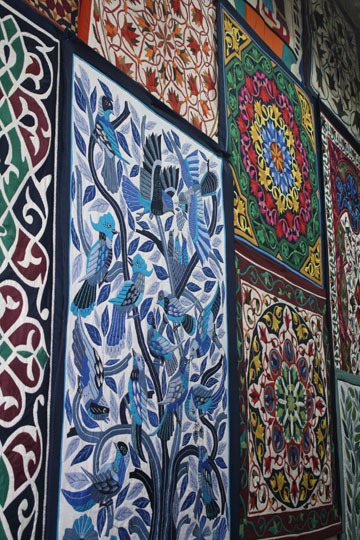 Historically in the Middle East, such appliques were used to decorate the interior of tents. 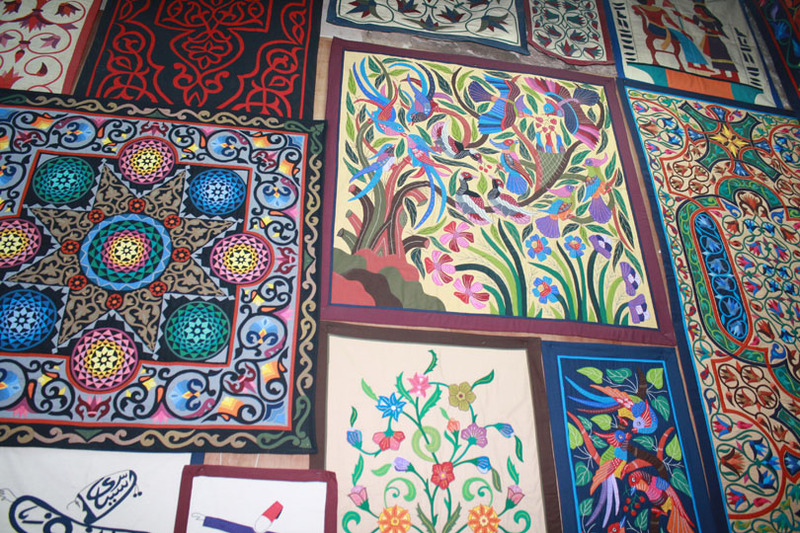 As the photo at the top of this article shows, some khayamiya pieces are small enough to be used as a cover for a throw pillow, while others are large enough to cover a large section of a wall, similar to the sizes often used in the U.S. for quilted wall hangings. 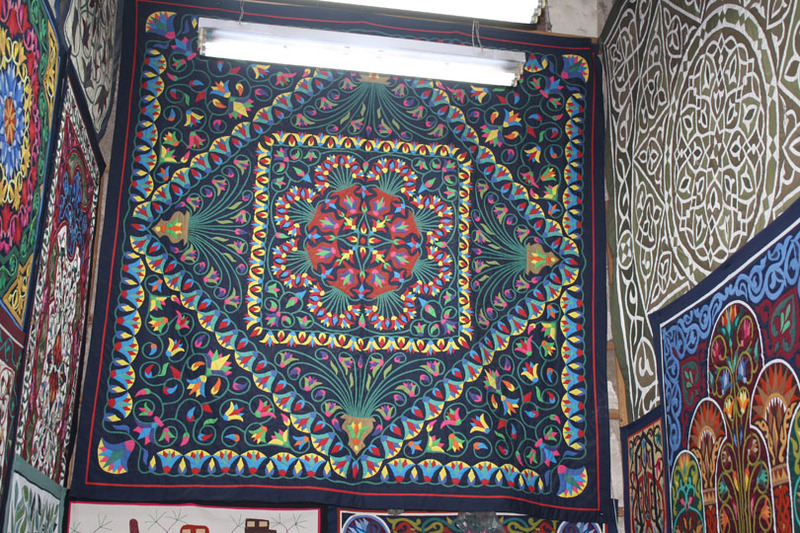 As a textile artist myself, I’m very fond of the khayamiya technique, and it’s always a treat when I go to Cairo to visit the Sharia al-Khayamiya. 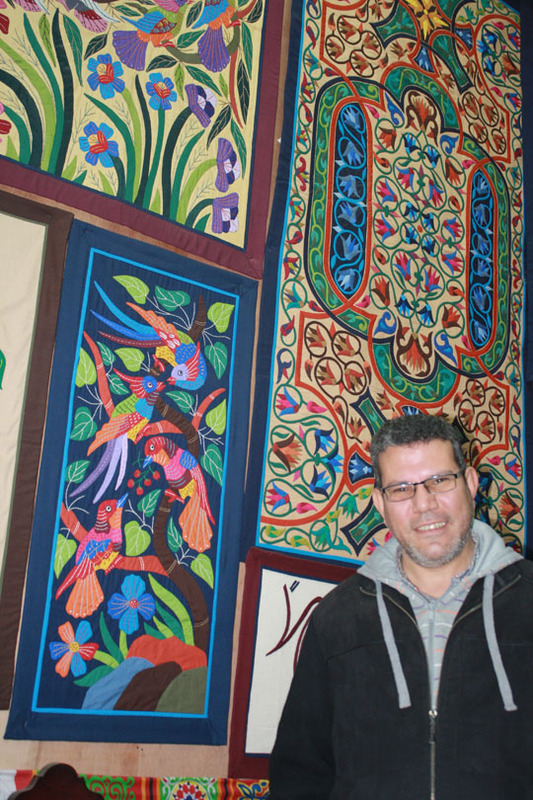 In 2012, the quilt shows presented by the American Quilter’s Society featured a khayamiya artist from Egypt touring throughout the U.S. Scenes depicting Egyptian life, such as Saidi musicians or men playing the tahtib martial art. 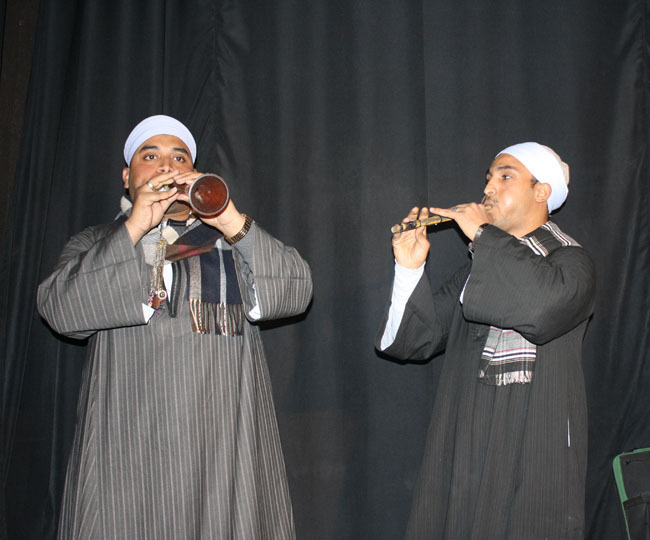 See the photo below showing two different views of Saidi musicians, one in which the musicians wear burgundy galabeyat, and the other in which the musicians wear navy blue. Words written in Arabic calligraphy. Most of these that I’ve seen translate into Allah’s name, or praises to him. 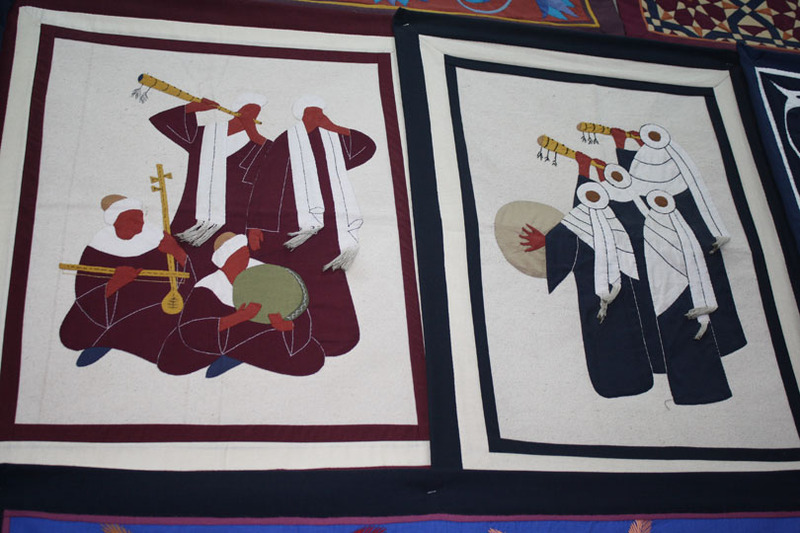 These two khayamiya pieces show Saidi musicians playing traditional Egyptian musical instruments. The image on the left shows men playing a mizmar (similar to an oboe), a rebaba (stringed instrument), and a deff (frame drum). The one on the right shows two mizmar players and a deff player. 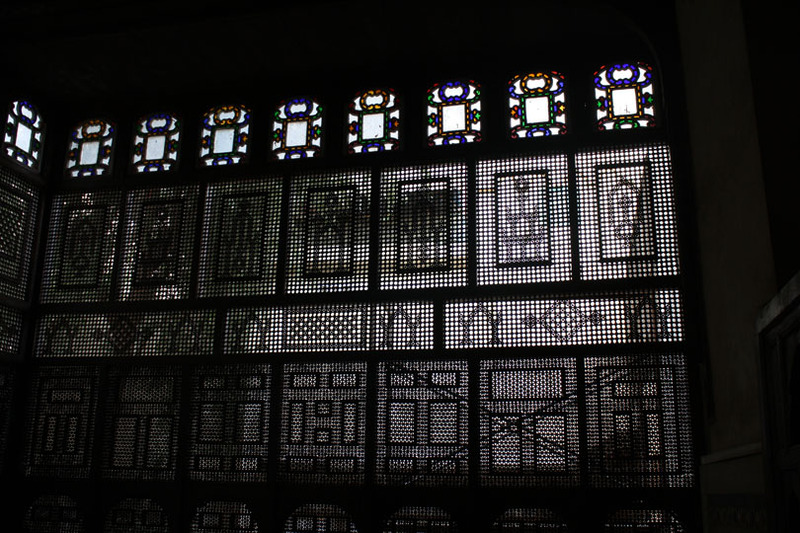 The photo below shows several khayamiya pieces displayed on the wall of one of the shops on Sharia el-Khayamiya. The owner of this shop gave me permission to take this photo, as well as the others shown in this blog post. Sharia el-Khayamiya is one of the last Medieval covered streets remaining in Cairo, and is worth a visit just to take in the history it represents. The street lies immediately south of the historic city gate known as Bab Zuweyla. It was built in the 1600’s. Historically, when Egypt was the hub of the Islamic world, every year the artisans of the Tentmakers’ Street would craft a massive tapestry to cover the kaaba stone in Mecca for the annual hajj (pilgrimage to Mecca). When the time came to transport the tapestry to Mecca, it would be carried through the Bab Zuweyla and placed on the camel caravan that would transport it there. The departure of the caravan to Mecca was occasion for the people of Cairo to celebrate. In recent decades, since the discovery of oil on the Arabian peninsula, the Saudis purchase their tapestry for the annual hajj from other sources. 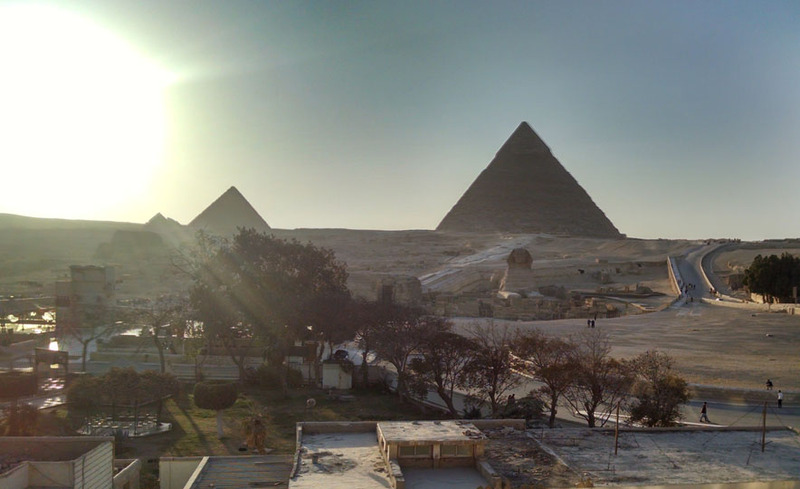 Egypt no longer provides it. If you stand outside a shop in Sharia el-Khayamiya, you may need to dodge cars and motorcycles, since it still is a functional street. I find it best to quickly move inside a shop displaying designs that appeal to me, rather than linger out in the street area. There is an article on the Aramco World web site that provides a large amount of interesting detail about this historic Cairo neighborhood. The khayamiya textiles come in many sizes. Prices vary according to the size of the piece and the intricacy of the design. Sometimes when I visit these shops, I sit down on a bench, pick up a large pile of textiles, and start looking through it in search of something to catch my eye. For me, it is a pleasure even just to look through them. The vendors are always very willing to help me find specific pieces if I tell them what sort of design or size I’m looking for. Although some of the vendors don’t speak much English, they can typically recruit someone nearby to translate. I’ve never had a communication problem, and I enjoy seeing their faces show their pride in their work as they answer my questions about certain items. I have purchased many khayamiya pieces to use as gifts for friends and family members. It can be a challenge figuring out what gifts to buy when visiting Egypt. I have given several pieces to people in my life who appreciate handcrafted textiles. The diverse selection of color combinations and designs offers options that could appeal to a variety of tastes. 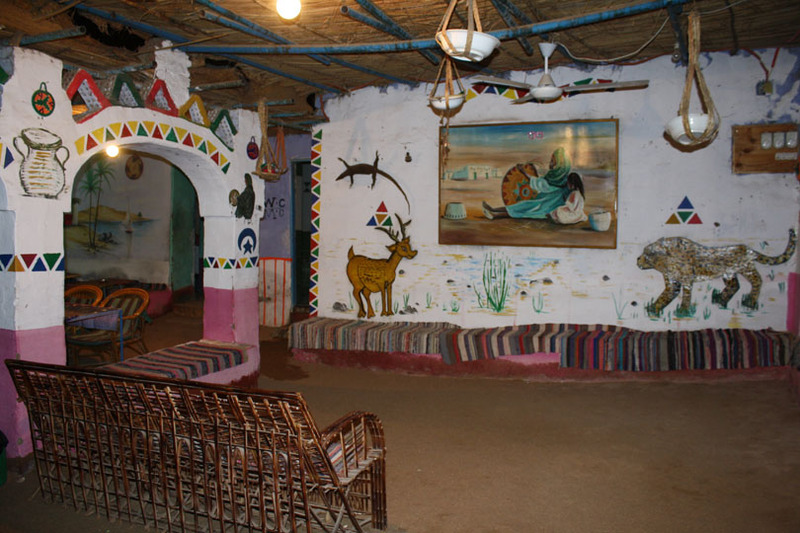 I also have several pieces for my own home, and when I look at them, they bring back memories of my visits to Egypt.